Putting — the Curse of TV Golf? Booming drivers. Spinning wedge shots. Curling putts. Each draws us to see Phil or Tiger or our favorite. It’s the last of those three exhibitions of golfing prowess however that’s pushing me towards forsaking golf on television. Not that I actually have, after all I’m still a golf nut, but the coverage of the World Golf Championships-Cadillac Match Play has put putting on my mind. It seems putting is all they show particularly when recapping earlier matches. If a putt was shown on the tube you can go to the bank it is going in. To be fair a couple of factors tend to dictate the seemingly unbalanced coverage of putting. First, over the first three days with 32 matches daily and several “feature matches” putting was easy to use as both a way to check in on the match status and give TV time to a greater number of players. 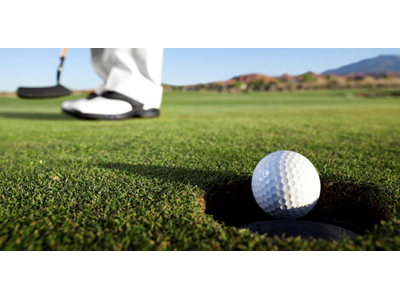 Second, to show a putt takes maybe 30 to 40 seconds but a full shot requires camera time for the setup, address, swing and hang time, not to mention roll out, spin on the green or the examination of a non-fairway lie. Since hang time on say a drive is six to seven seconds all by itself the total time for full shots certainly makes it more coverage-efficient to show putts. Since around 40 percent of the shots by pros are putts one could expect a fair number to be shown plus of course, it’s the outcome of a putt that determines win, lose or draw in match play or the final total in medal play. We all understand that. Still, giving putting more air time has another unwelcome facet. How many fist pumps, grimaces, stares skyward and mouthed but unvoiced expletives can one endure? To back up my rant I counted the number of putts and the number of full shots televised during four different segments of the Match Play…and then gave up. In one segment the putts exceeded full shots by four and the in others putts and full shots were virtually neck and neck. For me then, it was the perception of “all they show is putting” that got me fired up. It’s certainly not the reality. Now if they could just do something about the irrelevant prattle by certain commentators…but that’s grist for another column.